If you’ve browsed through our website you know that we offer industrial computer solutions. But do you want to learn more about them? In this article, we’ll explain what each of those product categories has to offer. 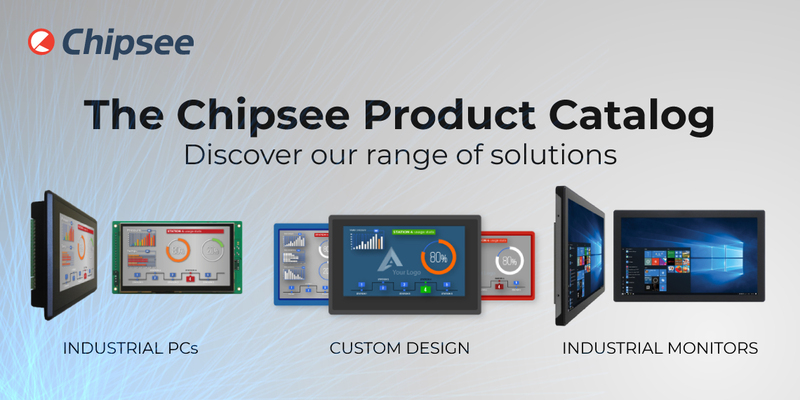 Chipsee Industrial Panel PCs are high-quality industrial panel computers, with or without a casing. They came in various screen sizes – from 3.5” to 21.5”. You can choose between two types of touch panels: capacitive and resistive. Now, the main component of each industrial panel PC is the System-on-Module or SOM for short. At the core of each Chipsee product lies a System-on-Module. This means all the products share the same core. This makes your future application easily upgradable – without needing to rewrite a single line of code your application is upgraded, thanks to the same System-on-Module. On each product page, you can read what particular SOM is featured on that device. For example, this 8” industrial panel PC with a resistive screen features the CS-SOM335X-V3 System-on-Module, based on the AM3354 ARM Cortex-A8 processor. When it comes to our Industrial Monitors, they come in slightly bigger screen sizes: from 15” to 27”. Each one has a 10-point capacitive touchscreen, offering high sensitivity and precision to the user. The typical power consumption in standby mode is around 2W, making them perfect for any modern application. The Chipsee System-on-Module is a single circuit board designed with everything you need and built around a powerful microprocessor. Browse through the page and find the one that suits your project the most.